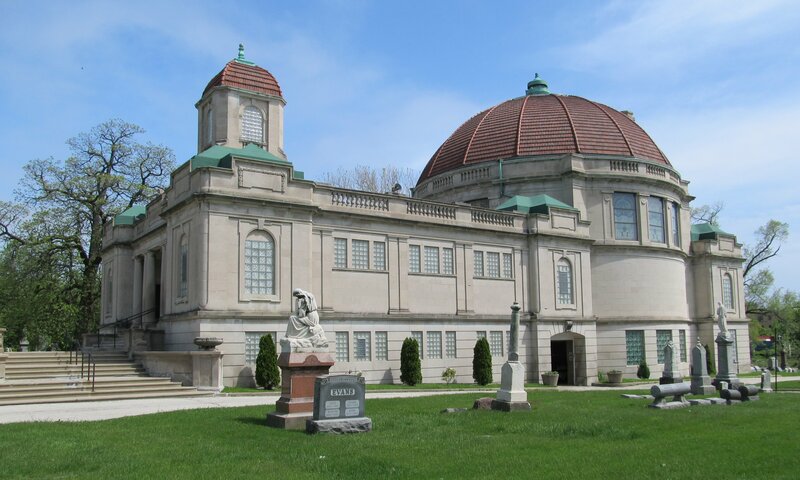 Bohemian National Cemetery is at 5255 North Pulaski Road on the north side of Chicago, Illinois. The cemetery was established by members of Chicago’s Czech community in 1877, and in 2006 the building was added to the National Register of Historic Places. 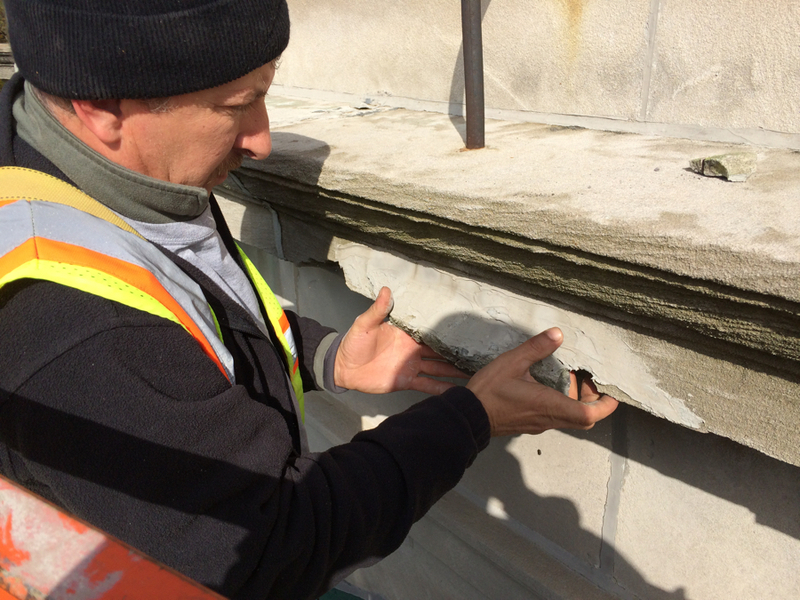 Corrosion of lintels was evidenced by uplift at every upper window lintel around the dome. Marion Restoration Company has evaluated condition of the entire structure.